Circumcision is often the earliest surgery performed in a young male’s life. Though complications in this procedure are rare, prolong postoperative bleeding may be the first sign of undiagnosed hemophilia. Hemophilia is a rare X-linked bleeding disorder and if not treated prophylactically or promptly during surgical intervention can be fatal. In this case presentation we describe the diagnosis of hemophilia in a child presenting with postoperative bleeding from circumcision. His initial presentation was consistent with the occasional postoperative bleeding and treated in standard form. However, with subsequent presentations hematological work up was indicated, and a diagnosis of Hemophilia B was made. The treatment with systemic Factor VIII replacement paired with localized hemostatic control was able to stop the bleeding. 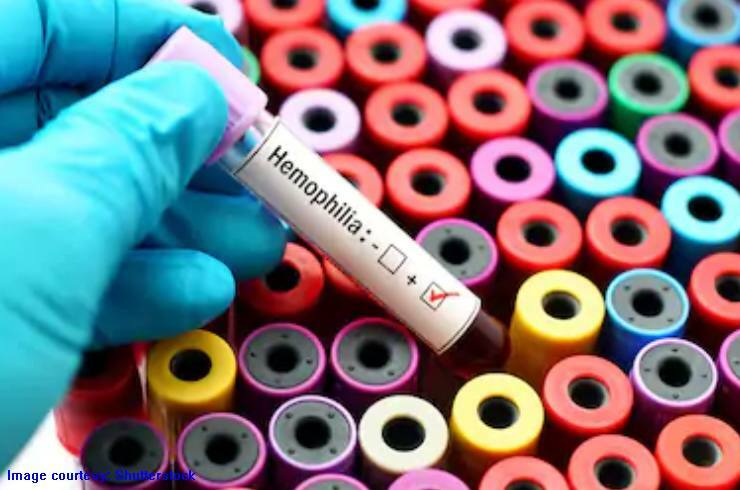 - Hemophilia is a rare X-linked recessive bleeding disorder that may be diagnosed by postoperative bleeding. Likewise, postoperative bleeding in hemophilia patients, even from benign procedures can have life-threatening consequences. - Since circumcision is often the earliest surgery performed in males, it can be the first incidence to diagnose the disease. bleeding. In patients diagnosed postoperatively, local hemostatic control and factor replacement with monitoring is critical.